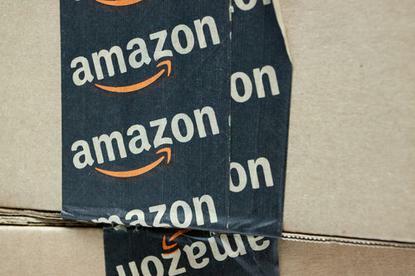 The company reported that Amazon Web Services generated $US1.8 billion in sales in the second quarter, up about 80 per cent from the $US1 billion it brought in a year earlier. That helped Amazon achieve a profit of $US92 million, a turnaround from its loss of $US126 million in last year's second quarter. Overall revenue grew by 20 per cent, reaching $US23.18 billion. Amazon's profit, which came out to $US0.19 per share, was a surprise after analysts polled by Thomson Reuters had estimated the company would lose $US0.14. It boosted Amazon shares, which were up $US84.82 at $US567 late on Thursday in after-hours trading, a gain of nearly 18 per cent.